There are several reasons why this should be the case: It is important that clerks remain neutral in the administration of legal matters. 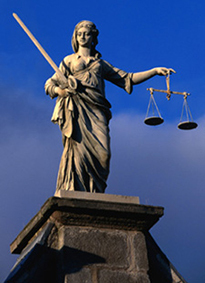 We cannot determine what is in the best interest of the court user. We cannot share information unequally, nor can we give advice or information that favors one side or another in a legal matter. Most importantly, only licensed attorneys may give legal advice. Legal information, on the other hand, can be given by anyone who is knowledgeable on the law. It is simply a statement of what the law is, without any application to your particular situation, leaving up to you the decision of how to proceed. Given the costs associated with hiring a lawyer, it is good to know when you need legal advice, and when you simply need legal information. If you need assistance in finding legal services, please look for Attorneys in your local phone book or follow one of the links below.